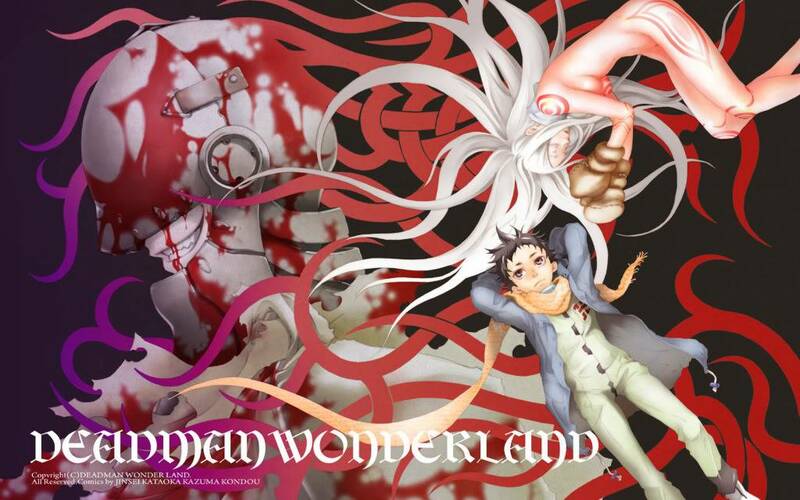 Welcome to the most famous attraction in japan, 'Deadman Wonderland'! But are you a prisoner, or a tourist? Zeeva flexed her new arm. It was metal and it was a bit harder to move, since she had lost her arm, it was like learning control all over again. Her fingers twitched as she eyed the battle. Maybe she could see a way to win.. a better movemnet of sorts.. or maybe even she could learn weaknesses. Unfortunately her eyes and mind were left unfocused. This place was dark and disturbing and she had a feeling there were far more surprises to be found out. "I saw your fight... But not the Game, I'm guessing that you lost an arm?" Zeeva sighed and glanced at the metal arm, "Yeah.. glad you didn't see the penalty game. The doctor used a dull axe..." Her body shuddered at the memory, then she turned to him and furrowed her brow, "I haven't seen you around here.... have I?" "No, you haven't... You just got here, No?" Zeeva nodded, "Yah... I guess you could say that.. though I can say my experiences here so far have been.. less than pleasurable." "That is one thing" He pauses for another breath, "We have in common... Before I got here" A second pause, "I could walk perfectly normal, I could breathe on my own, and wounds would heal by themselves." Zeeva looked sympathetic, "Are you a deadman then?" Her eyes were soft and concerned. "You could say that." He remembers that he was not supposed to say anything about it, "But it's nothing to worry about..."
Zeeva rubs his shoulder with her actual hand, "I'm sorry to hear that.. I was forced here.. they rigged my trial and I was put in here forsomething I didn't do." Sighing she closed her eyes, "And now I've found out I'm going to lose all my organs until I die or fight until I die.."
"Not necessarily... Deadmen are too few and valuable to be thrown away in mindless combat. They might keep you for other reasons." Zeeva frowned and laughed lightly, "Not sure I like the sound of that. Though I do hope they have other doctors, that one was completely insane." "Good luck. All of the ones that I have had seemed to get off on my misery." Zeeva stared and sighed, "I suppose that it's just the way things are here." Holding out her hand, she smiled softly, "By the way I'm Zeeva." Zeeva smiled, "Alexander? I like that name." She giggled. "Anyways it's nice to meet someone kind here." "So... You heard of the murders in St. Petersburg? Zeeva sighed, "I haven't heard of anything. I've been busy bleeding half to death since the doctor broke my bones with her dull axe, I've got internal bleeding that's slowly being fixed. Most f the time I'm resting." "I should be resting right now, but... Here I am." Zeeva closed her eyes "You should go rest." Her lips twisted into a concerned frown. "There will be time for that later..."
Zeeva nodded and sighed, "If you say so. Anyways you were saying..?" "Can you guess why I'm in here?" Zeeva smiled, "Aww so you're a murderer then?" "Serial Killer to be exact... So I deserve to be here." Zeeva sighed, "Lucky." It was kind of ironic. He was lucky because he actually did it, compared to her UNluckiness of not having done anything. She flexed her metal arm again.